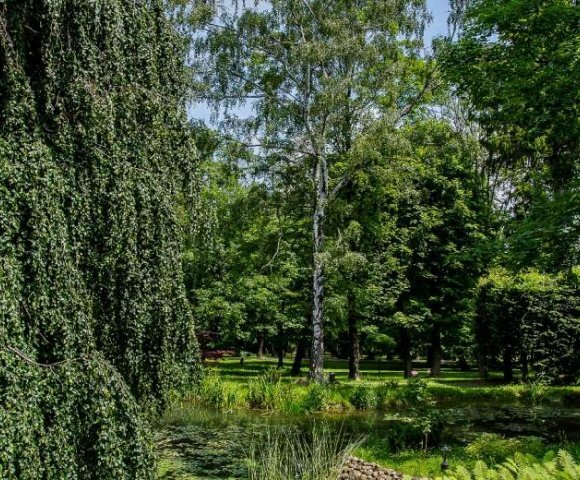 Hotel Dębowy Biowellness & SPA comprises a number of facilities surrounded by a magnificent 10-ha park at the feet the Owl Mountains, a range of the Sudety Mountain. 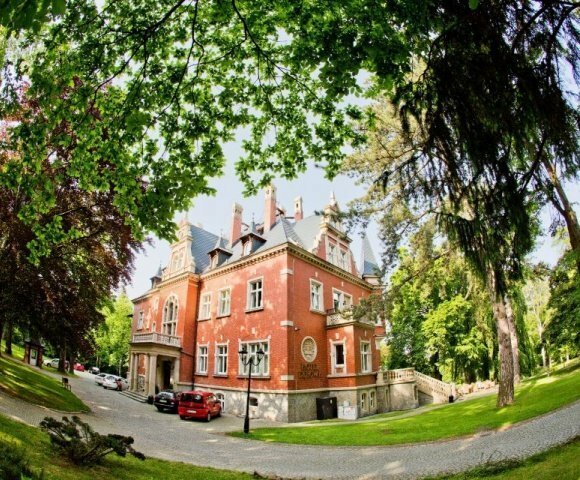 It is located in the southern part of Lower Silesian Region where people enjoy a unique mountain climate. 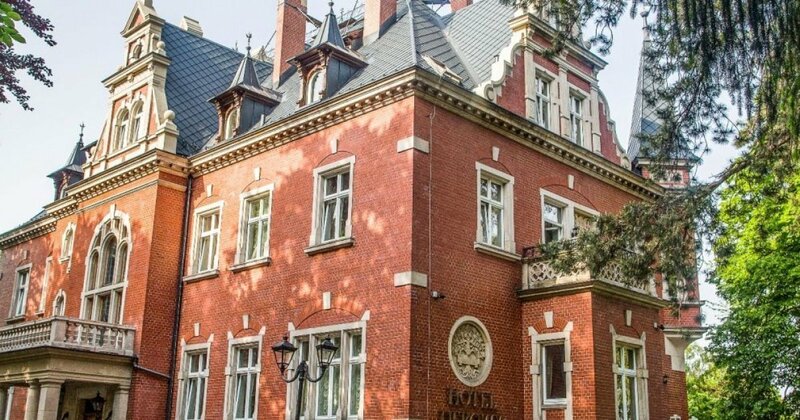 It is within only 60-kilometre distance to Wrocław. In the Oak Palace and the Oak Residence**** you can choose among 36 rooms. A unique atmosphere of the venue and highest quality of services are a guarantee for a successful stay and relax. Those who seek for comfort, elegance, peace as well as active stay will find our offer most suitable. During your stay at Debowy, we highly recommend you to go on a hike through picturesque trails in the Owl Mountains. We provide a rental of bikes, Jeeps, quads, trikke scooters as well as skiing equipment in winter. There is a ski lift nearby. Moreover, numerous tourist attractions in our region are worth discovering. This is the central building of the venue. This beautiful villa which was thoroughly renovated in 2001 and additionally refreshed in 2014 used to belong to a manufacturer family. There are 20 standard rooms as well as de luxe rooms, apartments and a room especially adjusted for people with disabilities. In the palace you will find the Garden Restaurant which serves most sophisticated and healthy dishes a la carte. 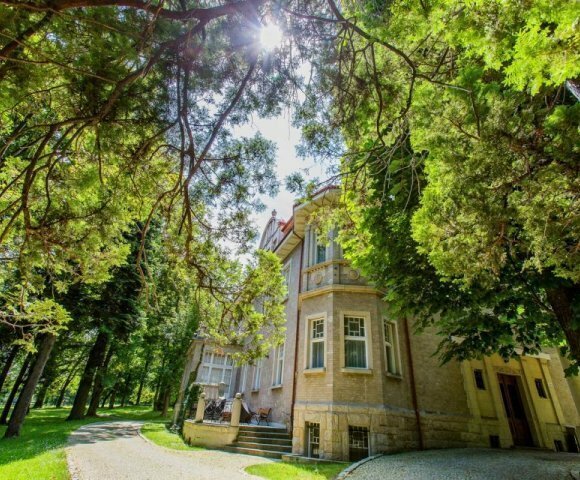 Located just a few steps from the main Hotel building, the Oak Residence**** was built in 1904. It combines a unique composition of modern architecture and Art Nouveau elements. In the low relief sculptures you can find symbols which convey far more about the first owner and his family than the information that you can find in contemporary literature. In Oak Residence**** there are 14 rooms and apartments and conference and banquet halls (redecorated in 2016). 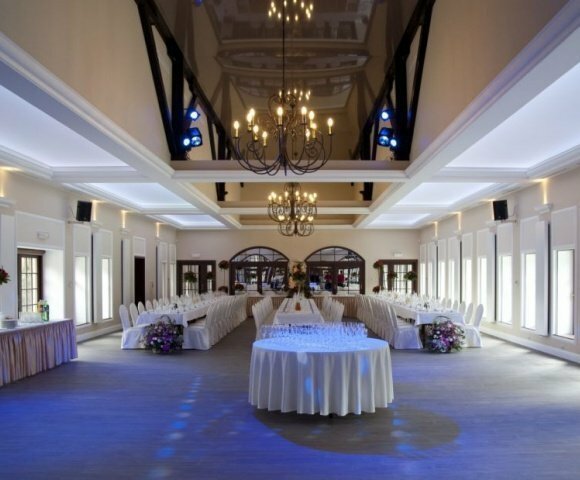 These stylish and air-conditioned halls provide room for banquets, weddings and conferences. The Residence halls can accommodate as many as 100 people. Built in 2011, stunning beautiful, elegant, modern hall located within the Park that is registered as national heritage. The charming surrounding and professionally prepared and equipped facility is a dream place to organise various types of trainings, conferences, receptions such as weddings or banquets. You can find the Restaurant in the Oak Palace. The menu based on local seasonal ingredients is composed by our experienced Chef. 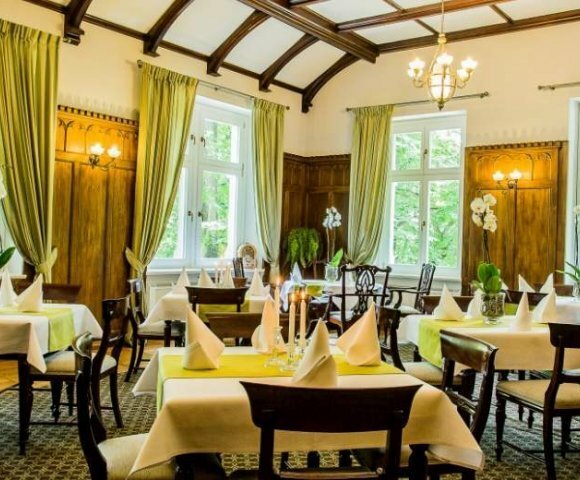 You can choose to enjoy the delicious dishes either in the elegant interior of the Restaurant or in the picturesque Park in spring and summer. 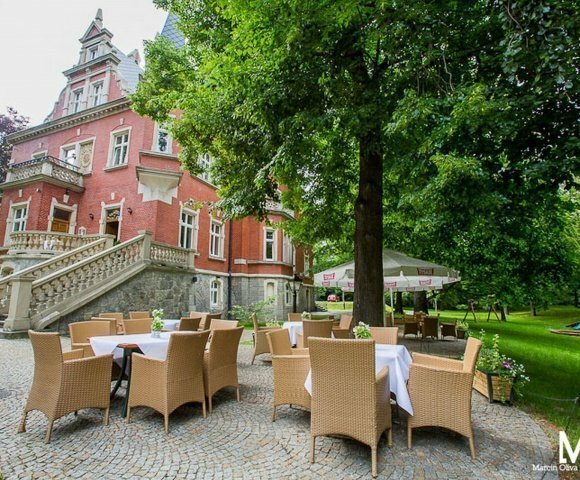 If you are planning an active weekend, a reception or a high quality company party with delicious sophisticated meals and comfortable accommodation, Hotel Debowy Biowellness & SPA is just the ticket. We are looking forward to seeing you at Hotel Debowy Biowellness & SPA. The facilities are surrounded by a beautiful historic over 10 ha large Park. In such a lush green environment you can rest, relax and recharge your batteries. You can also organise an outdoor event for several hundred people here. The land form allows any arrangement of additional roofing, garden furniture, stage or other outdoor attractions.